Midaur Casino was launched recently but it gained popularity very fast thanks to its amazing promotions and unique visual design. 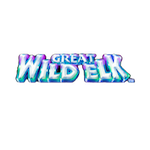 You’ll be delighted with bonus cash and 75 spins that work only on The Great Wild Elk slot. Wager your bonus amount 40 times and the winnings from the spins 35 times. You can’t cash out from the spins £100.